Having multiple XMPP accounts for one contact creates a situation where you might want to choose to send a message to a specific account of that person. At the moment there is no way to differentiate between the different accounts of a person, especially due to a bug showing all accounts as offline even though the contact is shown as online in the messages overview. 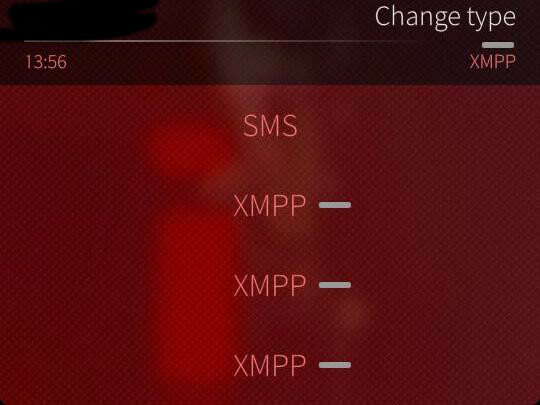 A solution would be to show the name of that account next to the XMPP label, like it is now done for phone numbers. Screenshot of the problem is below. The Contact in question has two XMPP accounts, however I also have two accounts with one account having added both of the person's account and the other online one of them. In the case of this screenshot one of my accounts is disabled and the contact is online.